The Best Tibet Blogs from thousands of Tibet blogs in our index using search and social metrics. We’ve carefully selected these websites because they are actively working to educate, inspire, and empower their readers with frequent updates and high-quality information. Dharamshala, India About Blog Tibet Sun is an English-language news website focusing on Tibet and the Tibetan people, world news, opinions, essays, and photography. Tibet Sun is aimed at safeguarding the national interest of Tibet and the Tibetan people, and will impart news and views frankly and fearlessly. Facebook fans 639. Twitter followers 16. Washington, DC About Blog The International Campaign for Tibet works to promote human rights and democratic freedoms for the people of Tibet. Our focus today is centered on working with governments to demonstrate meaningful support for Tibet, reaching out to Chinese all over the world, and monitoring conditions inside Tibet. Facebook fans 93,873. Twitter followers 13,553. Lhasa,Tibet About Blog Tibet Ctrip Travel Service, located in the heart of Lhasa offers fully customizable private tours and competitively priced group tours. Tibet Ctrip Travel Service (TCTS) has provided authentic cultural travel, remote trekking adventures, and Kailash spiritual journeys. They help make your Tibet tours and trekking holiday unforgettable! Explore the high land of Tibet with Local Professional Tibet Travel Agency at lower prices! Facebook fans 106,530. Twitter followers 1,076. Lhasa, Tibet About Blog Your window to Tibet travel and Tibetan culture. Get to know us and discover Tibet with us. Find first-hand Tibet Travel information, helpful Travel ideas and customized Tibet tours. Facebook fans 27,803. Twitter followers 2,736. San Francisco About Blog The YoWangdu Experience Tibet business and website focuses on Tibet travel, Tibetan cooking and Tibetan Buddhism, and is dedicated to the preservation and development of Tibetan culture and education. Get a taste of Tibet, from journeys to popular destinations like Lhasa, Everest Base Camp, and Mount Kailash. Experience the joys of Tibet and Tibetan culture through Tibet travel, Tibetan cooking and Tibetan Buddhism. Facebook fans 12,493. Twitter followers 719. Tibet About Blog Tibet Post International is an independent agency established by a group of young Tibetans living in exile. We seek to disseminate information relevant to Tibetans and non-Tibetans both in and out of Tibet. The primary aim is to forward the development of Tibetan journalism and to safeguard freedom of press both in and outside Tibet. Facebook fans 10,866. Twitter followers 2,062. Lhasa Shi, Xizang, China About Blog Explore Tibet, a local Tibetan owned Tibet travel agency based in Lhasa, offers Tibet tour guides for both private Tibet tours and Tibet package tours. Find latest Tibet travel information from this blog. Facebook fans 6,281. Twitter followers 715. San Francisco, CA About Blog A place for all things Tibet and Tibetan: news, politics, history, language, and religion. Facebook fans 1,187,352. Twitter followers 553,053. Tibet About Blog Explore China Tibet is a comprehensive travel booking platform designed to service travelers from all over the world who wish to visit Tibet and China. Their aim is to offer the high-quality Tibet travel products and service for foreign travelers. All these practical and informative resources will help you explore Tibet China with ease, fun. Facebook fans 9,067. Twitter followers n/a. New York, USA About Blog Students for a Free Tibet (SFT) works in solidarity with the Tibetan people in their struggle for freedom and independence. Facebook fans 100,451. Twitter followers 7,374. Washington, DC About Blog Taste the unique flavors and experience the heartfelt preparation of Tibetan nomad cuisine in Washington DC. Look for Dorjee Momo at pop-ups & events this summer. Chef Dorjee is now pursuing his dream of introducing more people to the unique flavors and heartfelt preparation of Tibetan nomad food. Facebook fans 884. Twitter followers 111. Dharamsala, HP, India About Blog TCHRD is the first Tibetan non-governmental organization to be formed with the mission to promote human rights of Tibetans in Tibet and to educate the exile Tibetan community on human rights concepts and democratic principles. Facebook fans 6,964. Twitter followers 5,776. Broomfield, CO About Blog Conscious Journeys is a Local Tibet travel agency offering best private Tibet tour packages and customized Tibet tours. Stay updated with Tibet travel journey, visa and travel permits. Facebook fans 2,455. Twitter followers 58. Monteagle TN USA About Blog Jamyang Norbu is a Writer, Musician & Advocate for Tibetan Independence. About Blog More-or-less monthly musings on mainly antiquarian topics of Tibet-related interest. Tibet About Blog I’m a Tibetan, who enjoys cooking, gardening, and storytelling. Beyond Her Kitchen blog is where I share stories, pictures & recipes from Tibet. Facebook fans 435. Twitter followers 579. Lhasa, Tibet About Blog Tibet Travel Expert Service is a highly recommended local Tibet travel agency and top tour operator offering quality tours service. We provide native Tibetan guides, safe drivers, Tibetan owned hotels,travel permits, ticketing etc for cultural tours, Kailash tour and all Tibet trekking programs. Facebook fans 8. Twitter followers 1,076. Oxford, UK About Blog Taste Tibet is the first and only Tibetan food business in Oxford, UK. We bring the freshest and most authentic Tibetan cuisine to markets, festivals, college balls and private events in Oxford and the surrounding area. The finest, freshest, most authentic Tibetan food this side of the Himalayas. Facebook fans 698. Twitter followers 497. Tibet About Blog Tibet Shambhala Adventure is the number one Tibet Travel company that offers tours & trips to Tibet, Nepal, Mainland China & Bhutan. Get a deep insight into the culture, tradition, history of Tibet and Tibet tour information through our travel blogs. Facebook fans 7,924. Twitter followers 61. Lhasa, Tibet About Blog Adventures In Tibet is a Tibet travel blog. We write travel blogs that struggle a way of smooth travel-sense, knowledge based contribution to rest of the world. Affording a comprehensive and fundamental information on Tibet travel is our best skill to let everyone understand our homeland. Facebook fans 3,426. Twitter followers 52. Lhasa, Tibet,China About Blog Mysterious Tibet is a leading Tibet travel agency and the best way to explore Tibetan culture. About Blog It’s a story of a rumored land, sequestered by fate and abandoned by time – The Hidden Lands of Tibet. It’s a story of trespass..
CONGRATULATIONS to every blogger that has made this Top Tibet Blogs list! 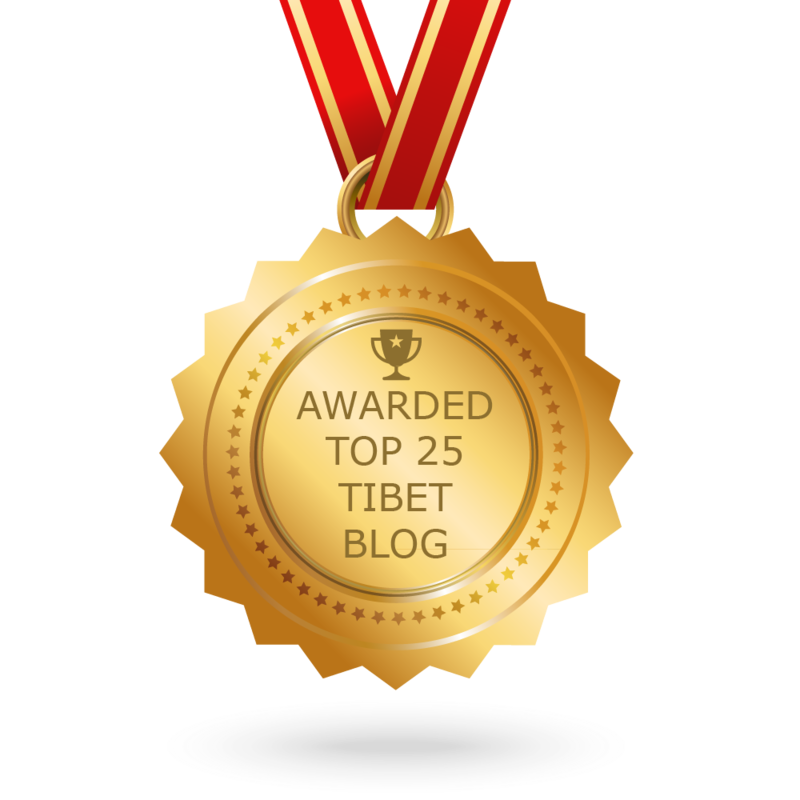 This is the most comprehensive list of best Tibet blogs on the internet and I’m honoured to have you as part of this! I personally give you a high-five and want to thank you for your contribution to this world.